tional public affairs analyst, Boladale Adekoya, has advised the leadership and members of the main opposition, Peoples Democratic Party (PDP), to do everything within their power to ensure former vice-president, Atiku Abubakar, clinch the presidential ticket of the party if they are serious about defeating President Buhari and the All Progressive Congress (APC) come 2019. Boladale made this assertion in an interview with Premium Times published on Saturday. According to him: “For an opposition to win in Nigeria, one of the most important factors is the efficacy of the candidate the party is presenting for election. For you to defeat a sitting president, you can not afford to joke around. So the greatest test for the opposition is the presidential primaries. Once pragmatic politics is not considered over theoretical rhetoric, then they should kiss the election goodbye. “In 2014 during the All Progressive Congress’ presidential primaries, Bola Tinubu played the greatest joker by insisting that the venue be moved to Lagos instead of the conventional Eagle Square in Abuja. If the primary was held in Abuja, Rabiu Kwankwaso would have won that election. By moving it to Lagos, Mr Tinubu was able to take charge of the delegates and secure most of them for Muhammadu Buhari. “He is a pragmatic politician who understands quite well that, as an opposition then, you do not play the game with the template of the Western world or refined politics as some put it. As at then APC needed the fanatic posture of Mr Buhari in the North to solidify the sentiment and narrative already established there. Mr Tinubu understood this and even though Mr Kwankwaso was much younger and without many blemishes so to speak, he was denied the ticket. What may be considered to be generally intelligent and right turns out most times to be hara-kiri in politics. 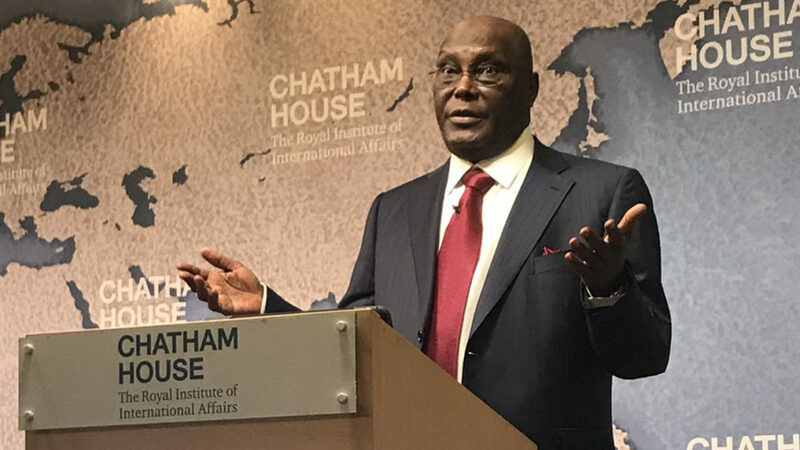 Speaking on the candidacy of Atiku, he stated that the PDP stands a better chance if he is presented in 2019 due to his ability to speak to the conscience of all Nigerians and pose a receptive mind that the younger generation can relate to.